Q Cabinet group portrait of ten unidentified black Victorians comprising five men and five women. 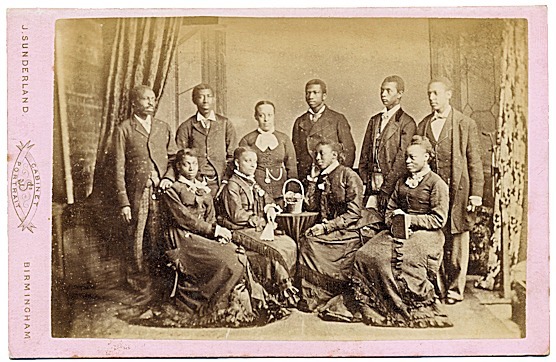 I originally thought this picture was of The Jubilee Singers of Fisk University, Nashville, Tennessee but recently have discovered this to be incorrect. Could this be another touring group as many groups emerged after the Jubilee Singers appeared on the scene or could it be a group of missionaries? A It’s possible this is the Original Canadian Jubilee Singers, a mixed vocal and instrumental group styled after the Fisk Jubilee Singers. They performed spirituals and ballads, no blues. This group had a five year tour of Great Britain and a three year tour of the United States.